VII. What troops should I have as a beginner? VIII. How do I train troops? Welcome back! In this month’s guide, we’re going to give you a overview of the troops, their advantages and disadvantages, and even some helpful advice! Each account also has a hero. Troops can be classified in certain groups from above. For instance, Teuton scouts are scouts but also infantry, whereas Roman and Gauls scouts are scouts and cavalry. Also, important to note is that each tribe has offensive troops, defensive troops, administrators, etc. They are just named differently. Romans have fairly well balanced troops, equally capable of offense and defense. For Romans, the defensive infantry are the Praetorian. Both Cavalry units for the Romans are good at defending, but overall, the Equites Caesaris are the upgraded version of the Equites Imperatoris and can be used to pack quite an offensive punch. So, Roman offensive troops are the Imperian, Equites Imperatoris, Equites Caesaris, the Battering Ram, and Fire Catapults. For Romans, the Legionnaire is the most basic troop type, being well rounded in offense and defense. Roman scouts are the Equites Legati, the final kind of cavalry for Romans. Roman destructive troops are of course the Battering Ram and Catapults. The rams destroy walls and catapults destroy buildings. In order to complete certain aspects of the game, catapults and rams are of the utmost importance. And lastly but certainly not least, the Roman administrator is the Senator, who uses his influence to conquer another player’s village from them. Most notably, the Senator is the most efficient of all the Travian administrator units. Do not be surprised if it takes one administrator less than is the standard for a Roman to conquer a village. Teuton troops are highly offense based; generally weaker than their counterparts from other tribes when it comes to their characteristics they make up for their lack of fire power by being cheaper and quicker to produce. While not entirely dangerous in small numbers, Teuton warlords are well aware of this fact, so they will always attack as a horde, with a massive army of efficient if cheaply produced units. Do not be surprised to see a vast number of Clubs heading your way – this is the ultimate edge of the hammer; the Teutons will break through your defenses using the power of sheer numbers. That being said, having only two kinds of cavalry, the Teuton armies are almost always infantry based. Even the Teuton basic infantry is well equipped to raid. Teuton defensive troops are the Spearmen, which are equipped to handle cavalry with ease, and the Paladin which quickly does away with infantry. Even though the Teutons are offensive by nature, when combined these two troops can make a very fearsome defense. The Axeman and the Teutonic Knight are the Teuton’s best offensive weapons. Both are very skilled in attack and will quickly tear through any army. Teuton scouts are infantry and thus move slower than Roman scouts. Teuton destructive units are the Ram and the Catapult. The Teuton administrator is so named the Chief. 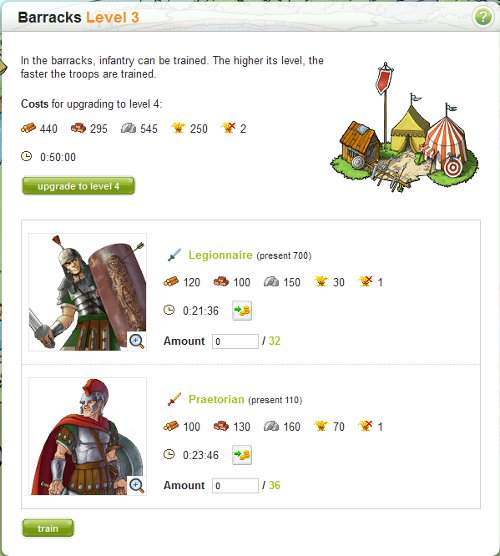 Gaul troops are more defensive based and their offensive troops are far more expensive than any other tribe’s. The basic Gaul troop, the Phalanx, is an excellent defender and is usually the base of Gaul armies. They are decent at offensive measures, however if meet by enough defense they will surely fall. Like the Teutons, the Gauls have a defensive cavalry and an offensive cavalry. Their defensive cavalry is the Druidrider. The Theutates Thunder is more skilled at raiding and attacking. However, their defensive capabilities are limited. And of course the Gaulic heavy cavalry, the Haeduan, is a well rounded unit useful for both offense and defense. However, be forewarned: its costs to train and maintain are higher than most other units. Great power means great costs. Do not underestimate an offensive Gaul; just because the tribe is peaceful at heart does not mean that its warlords won’t crush your army with ease if they wanted to. In fact, a well played Gaul (much like a Roman) can be quite formidable in both offense and defense. If you’ll notice, it is listed that they have an offensive value. This is because that if Travian Games decides to make it so that animals can attack, it is already in place. However, this is currently still on the drawing board so to speak. Aha the server troops. Looking for their attack values? Defense values? How about how many are in each village? Well I’m terribly sorry, but this is all hidden. The troop numbers tend to be random, depending on how often they have been attacked, etc. 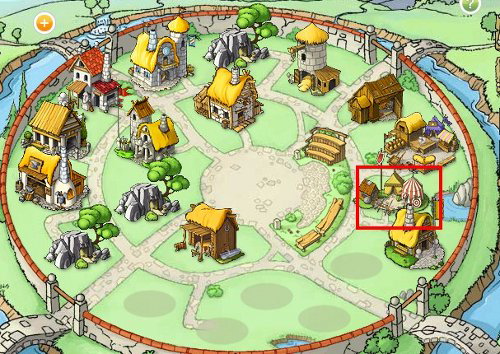 In Travian, you will often hear the terms “anvil” and “hammer”. So let’s explain what these are, and how to make one. But in Travian speak, an anvil is a massive wall of defensive troops, basically. Usually, you want a good mix of infantry and cavalry for your anvil. 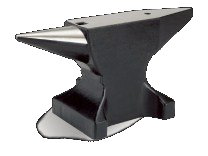 Most anvils are upwards of 25,000 troops. It’s not advised or practical for new-comers to attempt to make anvils. With anvil building, you also need to know how to tell a fake from a real attack. It can be tricky, and takes experience. You have to know when to defend, or to send the anvil away as to not alert the enemy how many troops you have. Anvils are always used for defensive purposes, especially when an alliance member is in trouble. 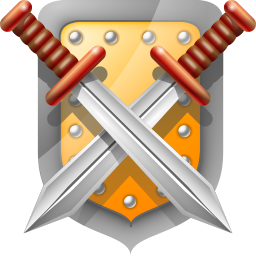 Do not think that a defensive player with an anvil will not have any offensive troops; though their number will not be as great as that of the defensive troops, they may and probably will still be there. Hammers are the other end of the spectrum from anvils. Hammers are basically a horde of offensive troops. Like anvils, hammers should have a good mix of offensive infantry and cavalry. Most good hammers have upwards of 35,000 troops. Although not typical, hammers can also include rams and catapults, in case you need to knock a few walls and buildings down. However, most experienced players have rams and catapults (catas) in separate waves. It is also possible to have all infantry and all cavalry hammers. This, however, is up to the player’s personal wants/needs and resources and such. It is this player’s experience that would like to point out that splitting up an anvil or hammer to defend or attack multiple targets means that your attack/defense strength is cut into fractions for each target, thus making each piece of the overall weaker. What is mutual for both hammers and anvils are the maintenance costs; this means that troops require food, and lots of it. Do not fool yourself into thinking you have a hammer if you’ve trained offensive troops separately in different villages: the hammer is trained in ONE village. An anvil can function slightly differently, because you can pool your defenses into one village when needed, which brings us back to the topic of feeding the troops. There are a few ways to maintain your hammer or anvil. Some players will prefer to get a big cropper (9c or 15c) and keep the troops there, making the cropper their capital and thus raising the crop fields above level 10. But almost always (especially once the size of the hammer/anvil breaches a certain level at later stages of the game), more crop will be needed and so supply lines will regularly travel from other villages to keep the troops fed. Another way of keeping this massive amount of troops alive is to just choose a village to train and keep them in, and build a host of granaries to store food which is sent from other villages; such players still employ croppers for food production and the granary spaces are increased by demolishing old and obsolete buildings. Finally, you can also fraction the hammer or anvil and cut food costs while employing either one of the above mentioned methods; what this means is that you can send a certain number of troops to nearby villages which have a surplus of crop and thus reduce the crop maintenance in your hammer/anvil village. This, however, can be potentially dangerous in that your enemies may attack these villages and destroy fractions of your troops, thus weakening your hammer or anvil without having to blast their way through a massive number of troops they would normally have to go through. 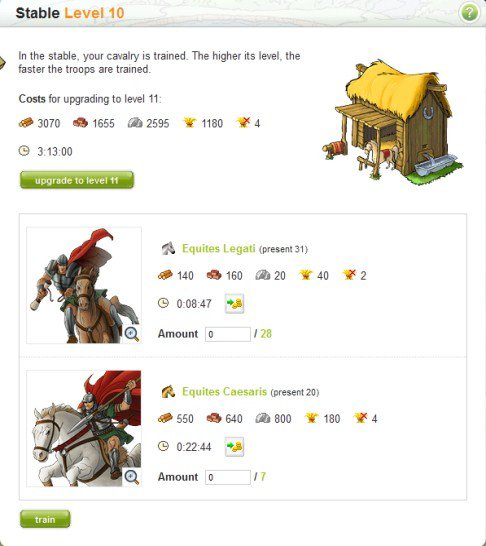 As a new player to Travian, it’s usually advised to have more defensive troops. For Teutons, you need more Clubbies in the beginning. For Romans, Legionnaires and Praetorians are usually best. They provide a solid offensive and defensive force. And finally for Gauls, your best bet are Phalaxes. Also for Gauls, you should consider making a trapper. One of the Gaul tribe’s best defensive weapons is the trapper, especially at start game. While it’s not really a troop, we thought it should be mentioned. The trapper for Gauls provides a certain amount of traps per level. These traps are hidden, and cannot be seen by scout reports. When you send a raid against a Gaul village, be wary of the traps! One piece of advice for new players: The stronger troop types require more resources. So, the higher your productions, the less time you have to wait to train troops and upgrade buildings. Mine happens to be here, where it’s marked. You should see listed all of the infantry troops you can train here. You will see the troop name, how many you have present, the resources required to train a single troop of that unit, the amount of time needed to train one unit, the options to NPC if you have gold, and the amount of troops to be trained/how many you can train. If you look at my legionnaires, I have 700 present, and can train a max of 32 currently. If you click this number, it will set the number to be trained as the max. You should see the same options, just different troops. For later on down the road, the rams and catapults (destructive units) you need to build the siege workshop. Senators, chiefs, chieftains (administrators), are trained from the palace or residency. More information will be included on administrators in next month’s addition! All troops (expect the basic units ie. clubbies, legionnaires, and phalanxes) must be researched in the Academy before they can be trained. THIS INCLUDES ADMINISTRATORS!! !